The Assessment Program at the American Institutes for Research (AIR) is a well regarded organization that is growing rapidly. We focus on providing our clients with customized assessments that not only measure student achievement against state standards, but also provide meaningful score reports that can help students, parents, and educators address any areas of student weakness. Our environment is fast-paced and requires people at all levels who are willing to roll up their sleeves to get the work done on time while maintaining high quality. We are currently seeking a Program Manager to join our Alternate Assessments team in Washington, DC. The Program Manager (Alternate Assessment) will assist with managing all aspects of state testing projects, especially for special education students. They must be able to work collaboratively in a fast paced environment; anticipate problems and come up with creative methods of solving them; develop strong, positive, constructive relationships with clients; coordinate among the various project teams; and make sure that quality control procedures are adhered to in order to produce high quality assessments within deadline and budget. They must be able to work in an environment where project requirements often change and evolve, and must be comfortable seeking out information and advice, when necessary. They must be able to conceptualize how all the parts of a complex project fit together and what a change to one part will mean for the other parts. Successful candidates will create a proactive culture in which the efficient creation of high quality products is second nature. Working with internal staff and subcontractors to develop processes, procedures, and schedules for meeting project deliverables and client needs. Working with state clients to ensure that all plans and schedules are viable, that the state understands their roles and deadlines, and that clear lines of communication are established. Developing meeting agendas, chairing meetings, and documenting decisions. Ensuring that a master schedule is developed and maintained of deadlines and deliverables and making sure that all project staff are aware of the parts of the master schedule that affect them, and are aware of all changes that are made to the schedule. Providing information, support, direction, and problem-solving to the clients, as needed, in a manner that provides positive solutions, and if needed, adjusts current processes to improve the delivery, coordination, or quality of the product. Managing changes of scope so that all necessary changes to contracts, budgets, and activities, and schedules are in place. Making sure that other members of the project team are aware of any changes to the project scope. Coordinating among the senior staff members who manage the various project teams (item development, technical, reporting, website, databases, etc.) and making sure that each team receives what it needs from the other teams. Keeping AIR senior management informed of any potential project problems, including issues with a client or another stakeholder and any potential for missed deadlines or budget over-runs. Minimum education: Masters degree or equivalent, preferably in special education or a related field. Minimum of 4 years of progressively increasing responsibility managing tasks and projects in a fast-paced environment. Prior experience teaching special education. Experience working in large-scale assessment or a related field, such as publishing or large-scale surveys. The Disability Specialist reports directly to the Director of the Disability Support Service/Assistant Director of the Counseling Center and will be responsible for providing eligibility assessment, accommodation plans, and academic support for students with disabilities. 2 year term, includes fringe benefits. Master's Degree in Rehabilitation Counseling, School Psychology, Special Education, or related field. At least three (3) years of experience working in disability services, preferably in educational settings. University experience preferred. Knowledge of disability legislation and ADA regulations. Duties and responsibilities of this position include: (1) maintaining a caseload of registered students/clients with a variety of disabilities (learning, psychological, neurological, medical, vision, etc. ); (2) providing direct service by meeting with students, reviewing relevant documentation, establishing eligibility for services and determining reasonable accommodations; (3) providing problem-solving assistance; (4) maintaining case records; (5) coordinating communication between and among faculty, staff, and registered students; (6) conducting outreach and providing education on issues related to disability services; (7) participating in local, state, and national trainings, conferences and conventions; (8) training and supervising DSS graduate assistants in service delivery and coaching; and (9) assisting in compiling reports, manuals, and other written correspondence. The DSS Specialist supports the Director and performs other duties as assigned. Mitchell College seeks a full-time Director to lead and manage Thames Academy, which is our residential program for high school graduates with academic challenges, documented learning disabilities, or other learning differences (i.e. ADD/ADHD) who are preparing for the transition to college or career. The Director is responsible for supervising the Academy faculty and staff, and the educational program. Additionally, the Director works closely with the Case Manager and Assistant Director to develop the co-curricular living/learning program. In collaboration with the Vice President of Student Affairs (VPSA), the Director will educate and support this learning community, ensuring that programmatic outcomes are achieved. Master's degree in special education or related field required, or equivalent experience. Doctoral degree preferred. Five or more years of progressive experience in curriculum development, program management and in working with young adults with disabilities. Experience within in a learning/living or residential program preferred. Experience working with students needing executive functioning assistance and social development. Excellent communication skills, both oral and written, along with speaking and presentation skills. Ability to analyze and resolve problems efficiently. Evidence of strategic program development and implementation. Appreciation of diversity and the ability to promote diversity in a college setting. Mitchell College, which was founded in 1938 as the New London Junior College, is a private, higher education institution, that provides both associate and bachelor degrees, along with an innovative post-HS graduate year certificate program at our Thames Academy. The College, which is set on a beautiful 68-acre beachfront campus in historical New London, Connecticut, combines distinctive majors, holistic student life programming and competitive NCAA Division III athletics amongst a diverse population of local, national and international students. Led by President Dr. Mary Ellen Jukoski, and governed by a Board of Trustees, Mitchell College has been accredited by the New England Association of Schools and Colleges (NEASC) since 1956. This is an FLSA exempt level position and is paid bi-weekly, as a 100% full-time appointment (12/12), with regular College benefits. The salary is commensurate with experience and the start date will be as soon as possible after the search has closed. Interviews may commence prior to the search closing. For full consideration, please send a cover letter, your CV/resume and 3 references (contact information or letters) by April 11, 2014 to jobs@mitchell.edu. For further information regarding our application procedures, you may visithttp://community.mitchell.edu/Employment. Are you interested in teaching in New Mexico’s premier school district? Come join us in the sunny Southwest. We have numerous positions open currently and for the upcoming school year. Performs other related duties consistent with job description and assignment as assigned. Bachelor’s degree from a regionally accredited college or university. Current New Mexico Department of Education license appropriate to the teaching assignment with special education endorsement or ability to obtain proper licensure within 90 days of hire. Please visit www.rrps.net for additional information about our school district and to apply for a position. Educate administrators, teachers, and children in their particular field. Assists in the screening process and provides appropriate follow-up. Serves as a member of the IEP committee as needed. Participates in the appropriate placement of students. Participates in meetings pertinent to the student’s therapy needs. Provides consultative services to teachers, support personnel and parents pertaining to the student’s needs. Evaluate students using appropriate tests, skilled professional observation and supplementary information from other agencies and records. Develop and implement intervention strategies. 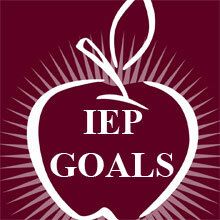 Develop relevant goals and objectives based on assessment/test results for the student’s IEP. Ensure the safety of all children and alert staff if a potential danger is perceived. Assists in establishing procedures for periodic review and evaluation of school services. Maintains an awareness and respect for the cultural diversity of students and families and assists school personnel in understanding these variations when planning for students and families. Gather, maintain and submit accurate and complete records as required. Schedules time appropriately to provide adequate service to school(s). Develop and maintain an environment conducive to valid assessment procedures when testing. Demonstrate knowledge of essential subject matter. Maintain continuous records of students evaluated. Maintain and improve professional competence as required by the District and state. Please see individual job postings at www.rrps.net. Victory Education Partners (Victory) is a school management organization that supports public charter schools in Chicago. Our mission is to create high performing schools that will close the student achievement gap for low-income students.Victory currently manages three K-8 charter schools on behalf of Chicago International Charter School (CICS): CICS Avalon, CICS Basil, and CICS Washington Park. In total, these schools serve over 1,600 students. Since the campuses have been under new management, our schools have doubled in literacy scores. Although we made great gains, we know our work is not complete. We are committed to ensuring all students are prepared to attend and succeed in high school and beyond. For more information about our schools, visit http://victoryep.com/. We are seeking an experienced full-time Special Education teacher to join our campus team. This candidate will have superior content knowledge to collaborate with classroom teachers in planning units that integrate learning and are aligned with the Core academic standards. This position will work closely with the school team to supervise students according to their Individualized Education Plan (IEP). By implementing this plan, staff will help the students develop their full potential, while systematically increasing their socially appropriate behavior. Design and implement curricula and activities to meet academic standards. Set goals for the individualized education plan (IEP) that are achievable and comparable to non-special education student in accordance with the State of Illinois. 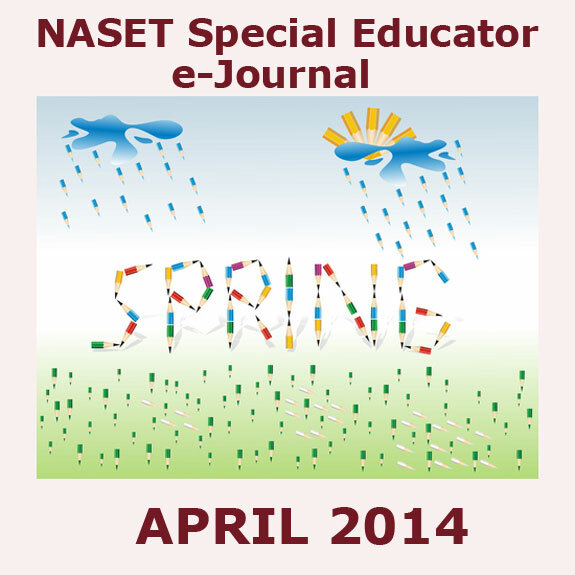 Develop draft IEPs for initial students with disabilities and/or annual reviews two weeks prior to the IEP meeting. Provide support and direction to paraprofessionals that are assigned to students or special education classrooms. Design, implement, and use informal and formal assessments to measure progress of students. Work collaboratively with school team to determine instructional and social needs of students that ensures success, and promotes students' well-being. Collaborate with fellow teachers to create a data-driven, learner-centered, friendly and safe environment demonstrating shared responsibility for achievement. Work with the RTI Team by suggesting appropriate accommodations or interventions for students in the RTI process. Adhere to and support all school policies to enforce school core values, high expectations, and strict code of conduct. Set and attain ambitious student achievement and social-emotional benchmarks. Model and encourage appropriate student behavior (i.e. grit, self-control, social intelligence, optimism and curiosity). Work with school team to constantly evaluate and improve mastery of instructional, culture building, and leadership skills. Maintain a classroom that demonstrates discipline, order and rigor. Reflect critically on teaching practice and implement improvement strategies as needed. Participate in mandatory summer orientation (3 weeks) and training. Believes low-income students can become college and career ready. Willingness to work long hours to successfully get the job done. High expectations on personal and team performance. Flexible to changing priorities and conditions. Organized and ability to multi-task. Organized and sustain compliance in meeting deadlines. Demonstrate mastery of academic subjects and behavioral interventions. 1-5 years of teaching experience in an urban setting. Valid LBS1 Special Education Teacher Certification required. Bachelor Degree from an accredited institution required. The primary responsibility of the Special Education Teacher (RSP) is to provide instruction and other related services to Special Education students. The RSP Teacher will also facilitate diagnostic assessment including administration, scoring and interpretation. RSP teachers will review and revise IEPs as needed. The Resource Specialist will support instruction in reading, math, and written language for students, tutor individual and small groups of students, administer and score academic testing, write individualized education plans and support other academic programs as needed. The Resource Specialist will work under the leadership of the Program Specialist and the Director of Special Education. Minimum BA degree or equivalent. We offer a full benefit package including Medical, Dental, 401K. $125,000 Salary for Master Middle School Teachers! Earn a $125,000 salary and join a team of master teachers at The Equity Project (TEP) Charter School, recently featured on the front page of the New York Times:http://www.tepcharter.org/nytimes.php. TEP is a 480-student 5th through 8th grade middle school in the Washington Heights neighborhood of New York City. Thinking about applying for a teaching position at TEP? Attend an in-person information session with TEP's Principal, Zeke Vanderhoek. Take a tour of the school, and learn more about the teacher application process and teaching at TEP. We also have a Live Online Info Session too! Job Category: Permanent full-time, Contractual. A position is available for a special educator or a speech-language pathologist , to provide oversight of a private multidisciplinary intervention program for an 18-year-old male with moderate autism in Riyadh, Saudi Arabia. The first month or two to be spent in Los Angeles .Contract duration is negotiable (either 6 months or annual renewable). This professional will liaise between the Senior Intervention Consultants in the USA and the professionals who are implementing the intervention program. Instruction will be provided within a homeschool environment, as well as in community settings. Ensure that the intervention designed by the Consultant team is being implemented as intended. Observe the intervention team in their implementation of the intervention within the home-school setting, community settings, and in activities of daily living. Assist the intervention staff in troubleshooting and making fine-tuned adjustments to the intervention plan and lessons (as needed) to achieve optimal levels of client motivation and learning. Assist the intervention team in creating weekly lesson plans. Assist the personal care staff in implementing the intervention goals related to activities of daily living. Take data during intervention sessions and in activities of daily living, and summarize these data to monitor progress on all intervention goals. Report, in a timely fashion, progress monitoring data to the Consultant team. Meet at least bi-weekly with the consulting team via Skype or other tele -health systems. Meet weekly with other members of the educational and therapeutic team. Submit weekly lesson plans and progress results to Educational Supervisor. Be available for meeting with the family as requested. Be prepared to substitute for an intervention team member in the direct delivery of instruction if one of the intervention team members should be on leave or absent. Master's degree in special education or speech-language pathology. At least 2 years of experience teaching teens with autism. Familiar with implementation of intervention using principles of applied behavior analysis. Able to flexibly adapt curriculum to meet the individualized learning needs of students. Willing to travel with the family. tax free salary $8000/month. Full health coverage. Fully furnished accommodation plus utilities. Transportation. Relocation expenses. 35 days paid annual leave with return tickets. Service award at contract completion. +(966)509250629 or in USA (310)994-4309.